Find everything you're looking for and more with affordable, quality workmanship! You'll discover timely repairs and beautiful designs for your newest remodeling project. Pines Plumbing "When You Need a Professional" with 40 years experience in the plumbing business. 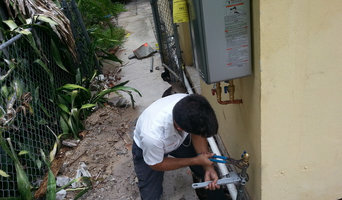 Our team of highly trained professional technicians have the experience to diagnose any plumbing concerns and provide the most effective repair at competive prices, Always providing outstanding performance in the execution of any and all types of projects. We have the skill set to complete the job right. We specialize in commercial and residential plumbing. 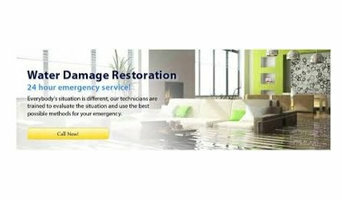 Family owned and operated, Rock Wood Services, Inc. specializes in water, storm, mold and fire restoration and remediation. We also handle biohazard cleanup as a result of trauma or unattended death. We work with all insurance companies. We are certified by the IICRC and NORMI and are state licensed and insured. 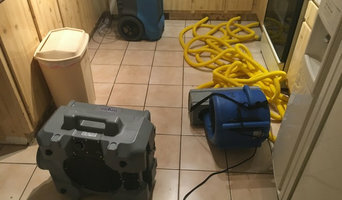 We offer a full range of services including water extraction, Chinese drywall removal, fire and smoke damage restoration, and mold removal and remediation. If you have a mold problem, we have the solution here at Rock Wood Services. When addressing any type of mold problem, we follow all the necessary safety guidelines to resolve the issue. In the event of water loss, it's important to take in concern the possibility of a mold forming. Every type of mold situation is different, and we will take the necessary step to determine the severity of your mold problem. To assure you that all your needs are meet during the restoration process, we will directly work with you or your insurance company. Our services are offered 24 hours a day, 7 days a week, 365 days a year for any type of disaster you may have. We handle any job, big or small, and any type of property from residential to commercial or industrial. We have vehicles already loaded with air scrubbers, dehumidifiers, generators, and other equipment for whatever a disaster job may call for.